You got an extra early peek! See you on Tuesday, May 21st with the next release post! Can you just see the versatility in this set? May is peak birthday season here in our household. Everyone in our house has a birthday this month, but me:) Add a couple graduations to the mix, and I NEED this set! So today I'm sharing a quickie graduation card I made. I started by stamping and paper piecing the banner on the card base. I wanted to center the "2013" banners, so I die cut a circle frame to go over the card base. I stamped the sentiment inside the circle and curved it just slightly to match the curve of the banner. How easy was that? 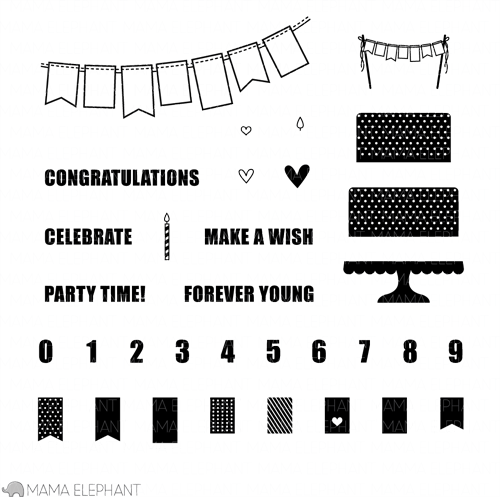 I'll see you on Tuesday when we showcase the last set of the May Mama Elephant release! The pops of color is wonderful! Love that colorful banner under the negative die cut. I can see myself using this stamp set over and over again, for both feminine and masculine cards. 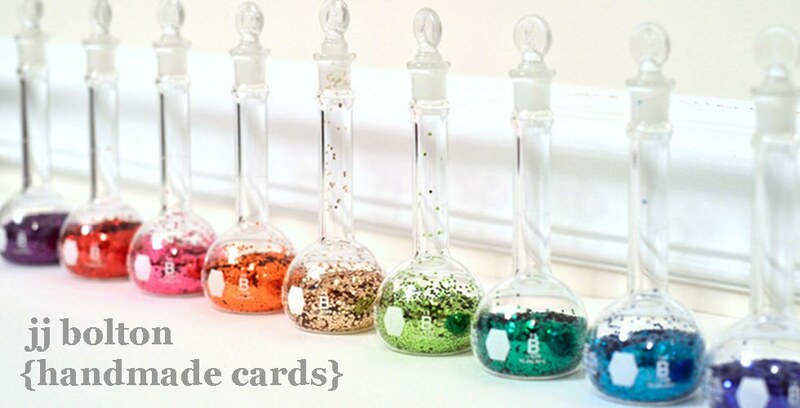 I can even envision making a Christmas/New Year's card using the banners, but maybe that's because of the Merry colours you've been using on your fab card! Looks like a party - you are making me crazy with those enamel dots JJ! They look like confetti! fun card and sweet design! Superb design and the colors super fun! Loving this window card, JJ! 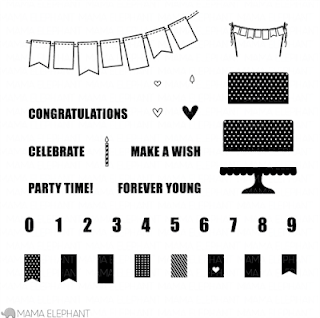 Your paper pieced banners are so cute and the colors are fabulous...perfect for the graduate! This card is a wonderful graduation card. OH MY! LOOOOOOOOOVE this color story! LOVE the enamel dots and the design with the banners-- YOU ROCK! What a fantastic card JJ! The bright colors you used really make the sentiment and year pop! TFS! Love the bright colors against the gray cardstock! The banners in school colors would be kinda cool, too. Such a great card!